In recent years the CES show in Las Vegas has provided rich pickings every January, but it wasn't always the case. This a look at what was grabbing our attention five and ten years ago this month. In our opinion the Sony Ericsson T630 is one of the nicest looking handsets ever which combined clean Nordic design with Japanese know-how, although it had a hard job replacing the even more iconic T610. Also competing for the same customers was the Sagem MyX-7, something that never quite captured the public imagination. If the Sagem and Sony Ericsson were too expensive for you, then the ultra-basic Motorola V150 clamshell phone might have been a device to consider. 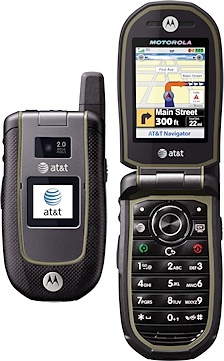 It might surprise some people to know that ten years ago you could get a 3G touchscreen smartphone with GPS, but then the Motorola A925 was a chunky, clunky thing that is quite unlike the smartphones of today. Five years ago the struggling Palm company reinvented itself with the Palm Pre, a smartphone that was arguably better than anything else on the market, but Palm couldn't get the market share it needed to survive. In the end, Palm ended up being bought by HP and then shut down, however the WebOS operating system on the Pre lives on.. in LG smart TVs. This month in 2009, Nokia announced the China-only Nokia 6208c feature phone with a touchscreen, joining the N97 and 5800 smartphones as the only touchscreens in Nokia's range. Nokia always had an eye for elegant design, and the Nokia 2700 Classic and Nokia 6700 Classic are two good examples of devices that were unmistakably Nokias. Back in 2009, Motorola was another company trying to come up with an answer to the iPhone, and the Motorola MOTOSURF A3100 was one such attempt.. but in hindsight it isn't hard to see why it didn't succeed. 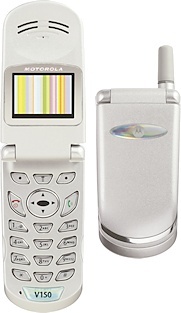 Although most mobile phone companies have made efforts to reduce their environmental impact in recent years, the Motorola W233 Renew was unusual at the time for the use of recycled plastics. The rugged Motorola Tundra VA76r combined a clamshell device with handheld satnav in a phone that looks quite alien to us five years later. The Tundra wasn't the only chunky-looking phone to be announced this month, with the odd-looking Telstra T165i which was designed to bring 3G coverage to rural Australian customers. With a name that could only have been thought up by a marketing department after a particularly convivial lunch the HTC Touch Cruise 09 (also called the HTC Iolite) sold itself on its geolocation abilities. T-Mobile didn't do much better when they rebranded the HTC Touch Viva as the T-Mobile MDA Basic, although we suspect that their lunch consisted of undercooked potatoes and grey rubbery schnitzel. It looked for a while that Hyundai Mobile would become a player in the UK market with some cheap but quite interesting phones including a watch phone, but when Hyundai's marketing partner collapsed the plans were cancelled. For some reason back in 2009 and for several years afterwards there was a feeling that putting a projector into a phone was a good idea, and the Logic Bolt was an early product that tried to bring these features to market - although in retrospect it was a feature that almost nobody wanted.